A white vinyl with a permanent adhesive backing (sticky backed) with a grey back to reduce show through when sticking over existing printing, or when stuck on windows with light behind. For all self-adhesive products we advise that you test a sample on the surface you intend to stick to in the intended conditions of use to ensure correct adhesion and removal. Surfaces can vary considerably, and for this reason we do not accept responsibility for damage caused by the sticking and removal of self-adhesive products. A white vinyl with a permanent clear adhesive backing (sticky backed) so appears white on the back also. For all self-adhesive products we advise that you test a sample on the surface you intend to stick to in the intended conditions of use to ensure correct adhesion and removal. Surfaces can vary considerably, and for this reason we do not accept responsibility for damage caused by the sticking and removal of self-adhesive products. 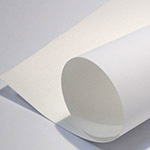 A white vinyl with a removable adhesive backing (low-tack sticky backed) for temporary applications where easier removal is required. For all self-adhesive products we advise that you test a sample on the surface you intend to stick to in the intended conditions of use to ensure correct adhesion and removal. Surfaces can vary considerably, and for this reason we do not accept responsibility for damage caused by the sticking and removal of self-adhesive products. A clear vinyl sticker with a permanent adhesive which is most popularly used with a white vinyl lamination to give a window sticker with the print on the sticky side, i.e. stick to the inside of a window to view from the outside. Please note that without a white lamination this product appears semi-transparent when printed; a white background is required to make colours solid and punchy. 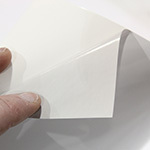 For all self-adhesive products we advise that you test a sample on the surface you intend to stick to in the intended conditions of use to ensure correct adhesion and removal. Surfaces can vary considerably, and for this reason we do not accept responsibility for damage caused by the sticking and removal of self-adhesive products. Clings lightly to windows by static forces (like a tax disc holder does) so is very easy to remove and leaves no glue residue. * PLEASE NOTE: this self-cling product is clear unless laminated white – printing requires a white surface to give colour it’s full strength, colours on a clear surface will appear faint so either mount the clear self-cling on white surfaces only, or if you want to use it on a window to be viewed from outside but mounted inside then choose white lamination. Vinyl transfer lettering and graphics for windows and vehicles and signage are cut from this coloured film. Available in over 50 colours. Can also be laminated onto boards to colour the surface, or used to cover windows. For all self-adhesive products we advise that you test a sample on the surface you intend to stick to in the intended conditions of use to ensure correct adhesion and removal. Surfaces can vary considerably, and for this reason we do not accept responsibility for damage caused by the sticking and removal of self-adhesive products. Also known as privacy vinyl, this product is cut to fit your window panel to give a frosted glass effect so light can pass through. It can also be cut to make lettering or other window graphic transfers. Can be used outdoor or in. For all self-adhesive products we advise that you test a sample on the surface you intend to stick to in the intended conditions of use to ensure correct adhesion and removal. Surfaces can vary considerably, and for this reason we do not accept responsibility for damage caused by the sticking and removal of self-adhesive products. A short-term vinyl sticker for floor graphics. Printed full colour, with crystal laminate which is much tougher than standard laminate and has textured surface. Floor graphics have a removable adhesive however we recommend with all adhesive products to test them on the surface you wish to use them as adhesives react differently on different surfaces and in different conditions. We have a range of floor vinyls so please contact sales to discuss your requirements before choosing your product. For all self-adhesive products we advise that you test a sample on the surface you intend to stick to in the intended conditions of use to ensure correct adhesion and removal. Surfaces can vary considerably, and for this reason we do not accept responsibility for damage caused by the sticking and removal of self-adhesive products. A Photo grade self-adhesive poster with a permanent adhesive backing. Made with polyester this is more durable than a paper poster and ideal for displays in high-traffic locations. For all self-adhesive products we advise that you test a sample on the surface you intend to stick to in the intended conditions of use to ensure correct adhesion and removal. Surfaces can vary considerably, and for this reason we do not accept responsibility for damage caused by the sticking and removal of self-adhesive products. 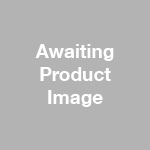 Ideal for frequently replaced images, temporary exhibitions and displays. The tear resistant Polypropylene material can be easily applied and removed from a clean smooth surface. Although the manufacturer claims that this product will not leave a residue, we recommend that you test a sample on the surface you intend to stick to in the intended conditions of use to ensure correct adhesion and removal. Surfaces can vary considerably, and for this reason we do not accept responsibility for damage caused by the sticking and removal of self-adhesive products.